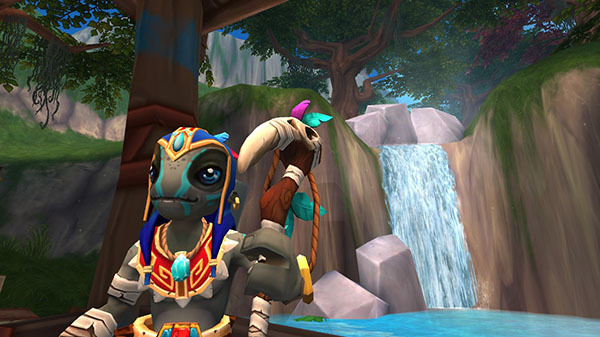 Prevent your island home of Tanzia from being overrun by an ancient evil. Arcanity, a studio founded by former inXile Entertainment, Obsidian Entertainment, and Sigil Games Online staff, will release action adventure RPG Tanzia for Switch via the Nintendo eShop on July 19 in the Americas, Europe, and Australia for $19.99, followed by PC “shortly after” (it is currently in Early Access), the developer announced. Fight Fantastic Foes – As you venture deeper and deeper into the world of Tanzia, you’ll face increasingly powerful creatures, from a lowly Akiri bird to the Skeleton King himself, with water spirits, giant spiders, zombies, corrupted beings and many more powerful creatures in between! Discover the World of Tanzia – The island of Tanzia is completely open from the moment your adventure starts, you can get to discover and enjoy it at your own leisure, visit Turtle Beach, the Docks, the dangerous Emuri Village, the magical Lagoon, The Ruins of an ancient civilization and many more beautiful locations. Just make sure you’re geared up & ready for the challenges you’ll face along the way! Learn Arcanity – Freeze your foes to make them slower, burn them to a crisp, root them in place! Learn different magic spells to deal with your enemies in creative ways, combine Arcanity with alchemy effects to become a one man army! Master Alchemy – Heal, run faster, make your Arcanity spells more powerful than you can ever imagine! Mastering alchemy will be crucial in your quest to become the Hero of the Akazi stories.